After a few days, when the metal cooled down, the cylindrical structure is opened: destroying the refractory material moulds, the statue is extracted in its raw format and bears resemblance to a mechanical tangle. 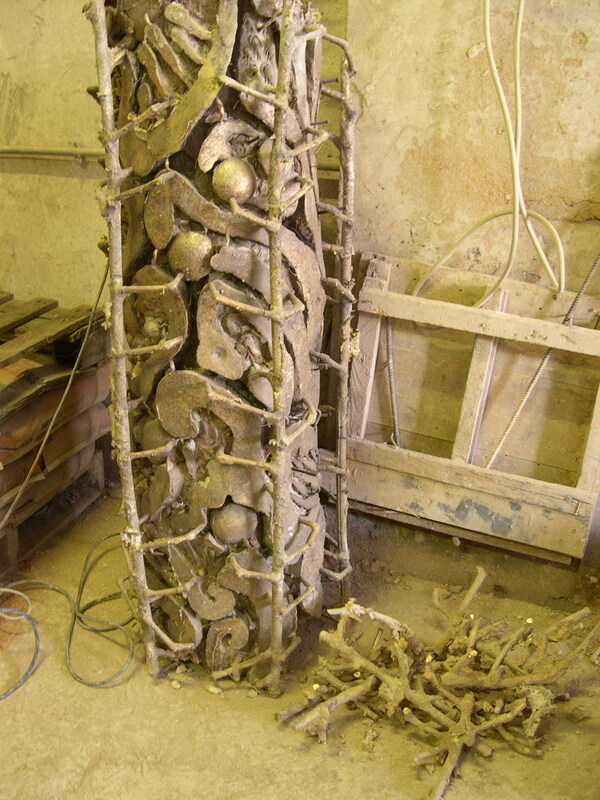 With the use of pliers, elements of the structure are chopped out and the last melting scars are removed: the ‘scabs’ and ‘smear’. The statue, clean both on the outside and inside form the residual clay, is ready for finishing.